This is the insane story of two young British lads that started an amazing Caribbean journey from Grenada to Miami…..in a kayak. This is the true story of Will McGreadie (21) and George Parry (22) and their Get Exploring Trust foundation. I had the pleasure of meeting these two on their St. Maarten stop in October, when they stayed with us at our guest house to stock up on supplies, to refresh and re-energize before continuing their long journey in their two-person kayak with end destination: Miami! Sitting on the steps to our bar and hostel with Will and George. One thing was obvious the moment we shook hands and that is how determined both Will and George are. I guess you must be if you have taken this great task upon yourself in the name of charity, completely unsupported and relying solely on your own abilities and equipment. What in heaven’s name possessed you to do go on this expedition? Such a good question, it seemed like a good idea when we discussed it over a beer back in England almost a year ago. We set up our own charity, the Get Exploring Trust this year for which we wanted a big expedition (the Golden Arc Expedition) to launch our fundraising and inspire people to get involved with adventurous activities and raising money for our cause. What has been your most amazing day so far? Apart from, of course, our fantastic rest day staying with you, The Travelling Island Girl, we must say our crossing from St. Vincent to St. Lucia was amazing. This was our first major crossing and we were nervous and intimidated by the passage infamous for its incredibly strong current and rough waters. We set off from Richmond on the East side of St. Vincent at 1 am, stopped for a power breakfast on the North side, then set off on the crossing. It is fair to say we nailed the crossing, completing it in good time and in a straight line despite the current. It was also George’s 22nd birthday! What has been the worst day so far? Our morning on Dog Island, Anguilla and first half of crossing the Anegada Passage was very tough. It was unbelievably hot with no breeze for relief and it would rain intensely at random intervals for 20 minutes, drenching everything. The rain continued into the night making our kayaking miserable. The hardest part was staying awake through the monotony of kayaking in the dark for 12 hours. How has the hospitality and acceptance been on each island so far and which island has been the friendliest so far? Amazing. Everyone from local fishermen to chain resort managers have taken us in and supported our expedition. All the islands have been friendly but it was amazing arriving at St Maarten and as we were paddling along the coast hearing a car horn beeping like crazy and a mad woman (that would be yours truly) shouting and waving from the road, shouting encouragement and directions – What a welcome! What will be the first thing you’ll do upon reaching your end destination besides sleep of course? A cold beer and phone home. These are the two things we miss a lot. How have you been coping with the Caribbean heat? Woaaa it has been so hot! We are still getting used to it but with our long sleeve shirts and big sun hats we have avoided being burnt on the water. Remaining hydrated is a constant battle though and even the simplest tasks become a challenge during the heat of the day. Did you have any any physical injuries during your journey so far? Nothing yet! We’ve had a couple of close calls with rocks and reefs but came away with no damage to ourselves so far, even though we did flipped over once. The kayak hasn’t been so lucky, with a few cracks and a bent rudder. Most amazing thing you have seen so far during your journey? So hard to say! One of the more unusual things happened as we were coming down the Sir Francis Drake Channel in the BVIs at the end of a 30 mile day. About a mile out from Nanny Cay where we hoped to stay, just as the sun was going down we heard a whirring noise above us and unbelievably there was a camera drone following us! It overtook us and guided us all the way into the marina where a small crowd were waiting on the beach having heard of our imminent arrival on the news that morning! What has been the reaction of locals, friends and family? We usually get labelled “crazy, crazy, crazy” but everyone we have met along our route have been fantastic. Welcoming, helpful in their advice and support and generous. We have had many complimentary nights and free meals and it is this generosity from people that is making the whole expedition possible. We are eternally grateful to all! How many hours do you travel on average daily? Usually around 12 hours. We try to always finish around 4.30pm to give us time to find a place to stay and set up camp if necessary before it gets dark. This means starting the day anywhere between 1-7am depending on the distance we have to cover that day. Has this expedition been done before? As far as we can gather our route has been done twice before. Once by the Henry brothers who paddled from Brazil to Miami and once by an expedition of 4 led by John Dowd who paddled from Trinidad and Tobago to Miami. Their expedition has the most parallels to ours. They took 8 months. We are aiming for three! We will be the first British team, youngest and fastest (we hope). What do you do to pass the time during the long hours kayaking? What do you talk about? We spend a lot of time thinking, letting our minds wander away from the monotony of paddling and discomfort that grows with every day. And we talk about anything and everything, nothing specific and usually completley random. Worst fight between the two of you? We haven’t had a fight yet! Have you been to the Caribbean before? Only as a young kids. All the experiences, cultures and especially the heat is as good as new to us. What do you eat during the day while kayaking? Usually canned meals or bread and hardboiled eggs, supplemented throughout the day with snacks like flapjacks, fruit, power bars etc. We usually spend most of the day hungry though. What does your itinerary look like? After St Maarten we headed to Dog island, Anguilla before our big 60 mile crossing of the Anegada Passage to to the British Virgin Islands. From there we hit the USVIs, Puerto Rico, Dominican Republic, Turks and Caicos, Bahamas and then across to Miami. If all goes according to plan, when do you expect to reach Miami? December 18th. We really hope to fly home in time to spend Christmas with our families! Which islands do you most look forward to visiting next? We cannot wait to get to Turks and Caicos. We will get there after completing our longest crossing of 90 miles and it marks the start of the final third of the trip – our home run. All the tiny islands and sandy cays sound incredible and the water is only a few meters deep for most of our legs. What would you advise anyone planning to do a similar trip? We have learnt so much since we have been kayaking that we didn’t know or appreciate before. The best advice we can offer is to always speak to locals as they have so much information to offer, especially about the waters and likely conditions that you cannot get from cruising guides. What is the Get Exploring Trust? The Get Exploring Trust is our charity we set up to inspire and enable young people from underprivileged backgrounds to get into the outdoors and to support them through their development as they use their experiences to enhance their characters and personal prospects. At the time of writing the boys have found their way to the Dominican Republic after having successfully crossed the Mona Passage from Puerto Rico and are about to do one more major crossing to Turks and Caicos before finally reaching their end destination of Miami sometime in December. Follow Will and George’s progress here or on their Facebook page. Having met Will and George, I am amazed by how humble, down to earth and super nice they have remained through all of this. Their dedication is inspiring to say the least. To all of you reading this, you too can sponsor their expedition through their Virgin Giving page. And should you be along their route please contact them via their website to assist them with home cooked meals, accommodation or equipment. 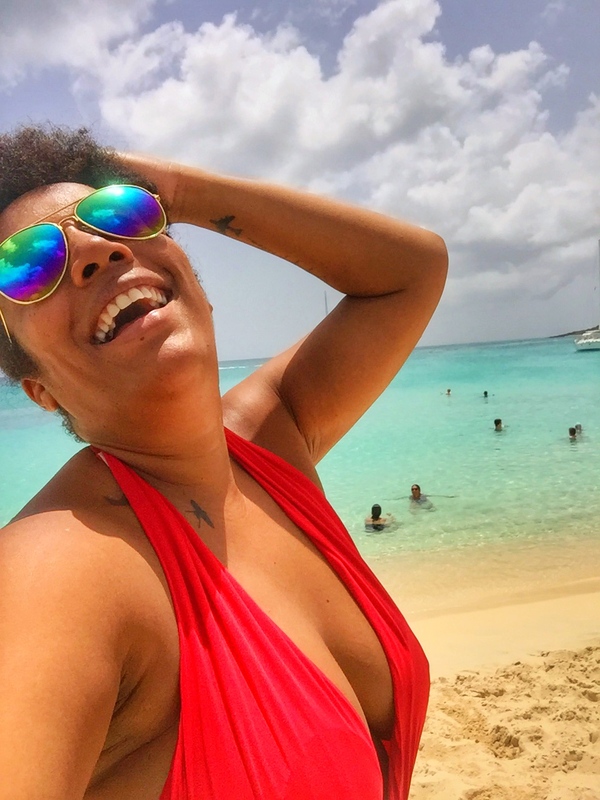 Subscribe to my Newsletter for more stories out of the Caribbean, more on Island life and a lot more travel advise, trip tips and beautiful destinations in and out of the Caribbean. Don’t forget to continue to Live, Laugh and Travel.